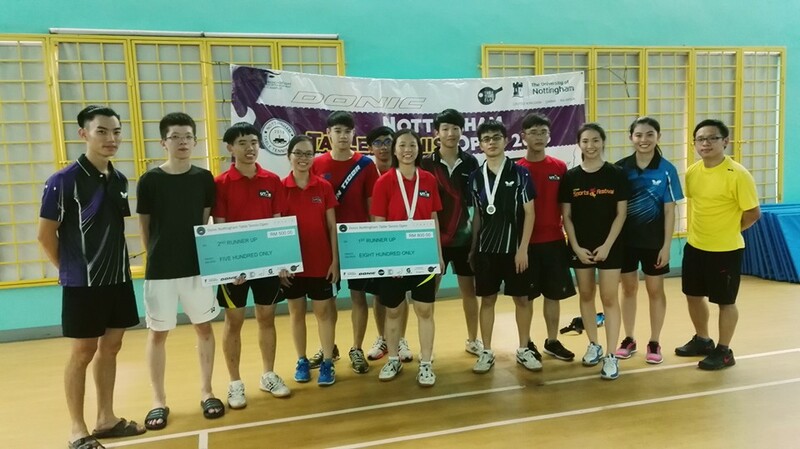 UTAR students in two teams of six nabbed a silver and bronze medal at the Nottingham Table Tennis Open 2016 held in the University of Nottingham, Malaysia Campus from 9 to 10 April 2016. “Even though we did not walk home with a gold medal, this tournament has been a great training ground for us to improve our skills for future tournaments,” silver medallist and Team Red Captain Puan Sheng Wei said. “Winning isn’t everything. It is also important for all players to exchange ideas and promote goodwill among players from other institutions,” said bronze medallist and Team Black Captain Ching Ming Siew. He also hoped that both teams will be mentally better prepared for future tournaments. Besides that, the silver and bronze-winning teams walked home with RM800 and RM500 cash prizes respectively and certificates. The Nottingham Table Tennis Open 2016 was organised by the University of Nottingham, Malaysia Campus.